Sunshine and sea breezes are plentiful at Sandy Hook 21. This 3-bedroom condo includes a community rooftop patio great for sunbathing or evening BBQ’s. The condo’s living space has all the entertainment amenities, with a CD player, DVD, and access to the internet. Sandy Hook 21 also comes with a fully equipped kitchen and dining room that seats six. Other perks include a security guard from 4 pm to 8 am and elevator access to all floors. 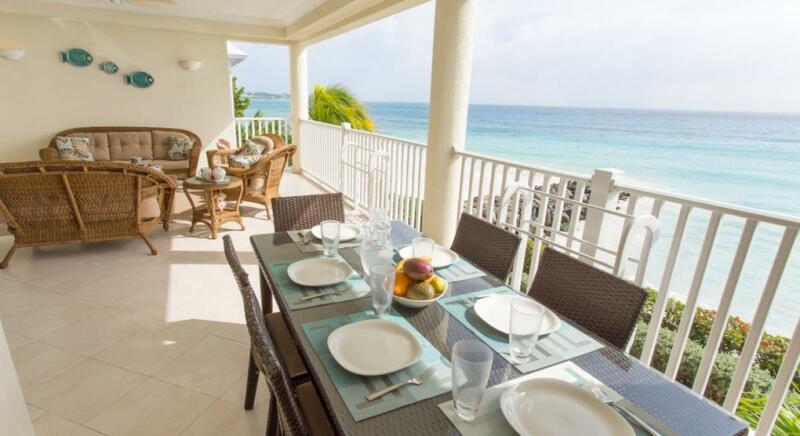 Sandy Hook 21 is a beautifully designed condo located in Maxwell on the south coast of Barbados. Just outside the door, guests can enjoy the white sandy beach and crystal blue sea. Tastefully decorated from the living area to the Italian designed kitchen, this villa will be sure to meet guests’ every need. There are 3 bedrooms, 3 bathrooms, and a balcony brushed by ocean breezes. In addition there is a community rooftop patio for BBQ and sunbathing. * Children under 8 years old require owner’s approval. * Please contact your WhereToStay.com representative for Christmas & New Year’s availability and rates. Welcome-Children under 8 years old require owner's approval.